Aston Martin previews three new production cars in concept form at the Geneva Motor Show. There’s a new hypercar, a McLaren-rivalling supercar and a luxury SUV. All-electric luxury SUV will be the first production model from Aston Martin's all-electric luxury arm, Lagonda. Latest British sports car manufacturer has a new flagship car to replace the Vanquish S. The DBS Superleggera has 725 horsepower from a huge V12 engine. Lagonda is a new all-electric brand from Aston Martin. Its first car, an SUV, will go on sale in 2021. 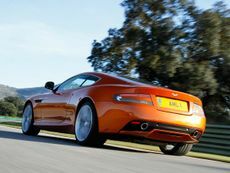 The latest version of the Vantage is Aston Martin’s cheapest car, but with rivals like the Porsche 911, Audi R8 and Jaguar F-Type SVR, it’s anything but entry-level. Thought Aston Martin’s Valkyrie couldn’t get more extreme? Turns out it can, as the British brand shows off a 224mph, 1100 horsepower track-only version. Lagonda will aim to be the world’s first zero emission luxury brand, and looks to the future with the ‘Vision Concept’ at the Geneva Motor Show. It's the lean, mean, very green, Aston Martin machine. The new Vantage is available to order now, with first deliveries in spring 2018. Few cars get as much admiration from passers-by as the good old Aston Martin. That certainly won’t change with the handsome DB11, but can it dazzle in other areas, too? British car companies make some of the finest grand tourers in existence, but which is the best? To find out, we took on a James Bond-inspired pilgrimage to the western highlands of Scotland. Despite the recent arrival of the turbocharged DB11, Aston Martin isn’t giving up on natural aspiration for its range-topping coupe just yet. 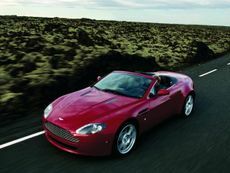 Read the Aston Martin Virage coupe (2011 - 2012) car review by Auto Trader's motoring experts, covering price, specification, running costs, practicality, safety and how it drives. 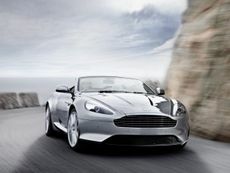 Read the Aston Martin Virage Volante convertible (2011 - 2012) car review by Auto Trader's motoring experts, covering price, specification, running costs, practicality, safety and how it drives.